Last Friday city leaders gathered in Covington to celebrate the ground breaking for the $3.3 million Boone Block redevelopment project. Located at 422 Scott Street, the project will result in the creation of nine single-family townhomes ranging from 2,185 square feet to 5,000 square feet in size. City and project officials see the investment as part of a larger trend that is bringing new life to the heart of historic Northern Kentucky river city. In addition to this project, new commercial space, hotel rooms, residences and educational research space are all planned or in the process of construction in the nearby area. The project is also evidence of the renewed interest in Cincinnati’s center city. 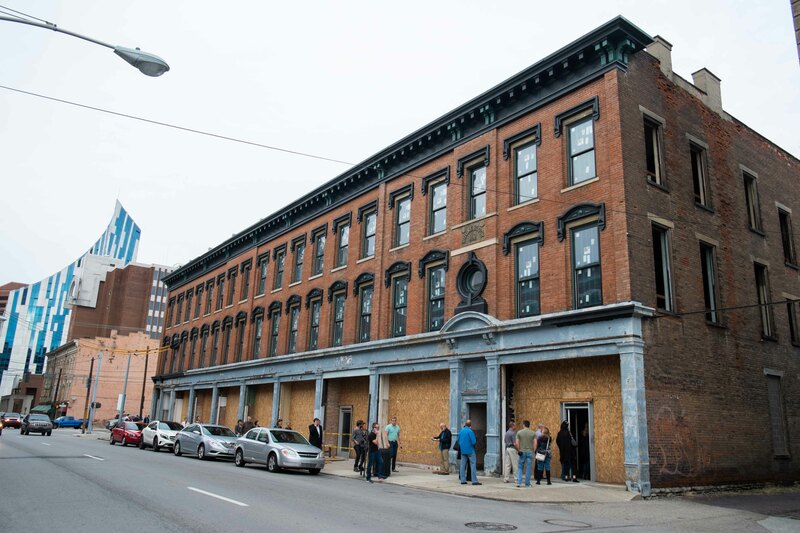 While originally defined by the massive investment that took place in Downtown and then Over-the-Rhine, that investment and interest is now noticeably spreading outward to places like Covington, Mt. Auburn, Newport, Bellevue, Northside, Walnut Hills and the West End. Project officials note that the Boone Block building was originally constructed in 1872 and still boasts many of its original architectural features. Each of the new residences, they say, will feature a modern interior finish with open floor plans, a gated courtyard, 14-foot ceilings, and an attached one-car parking garage. So far the project team has pre-sold six of the units, which has provided some of the upfront project financing. In addition to that, the Catalytic Fund has provided mortgage gap financing and the City of Covington has provided a façade grant and development loan to the project. Interested buyers for the final three available residences are instructed to contact either Rebecca Weber or Joy Amann at Huff Realty for additional information.